The Russky Island is famous not only for marvelous natural sights, but for handmade wonders too. These are in particular the unique fortification facilities straggling on its territory. 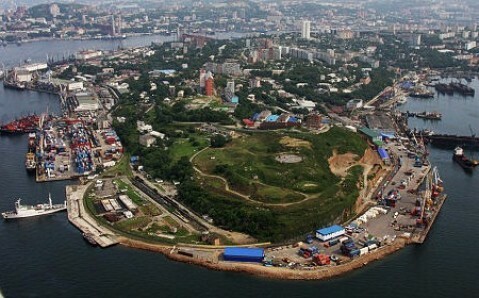 The Voroshilov Battery - the true military equipment's wonder and Vladivostok's pride - is among them. Thousands of naval history buffs yearly visit the island in order to see it. Since the early 1930s, the Japanese fleet was constant threat for the Soviet Far East. 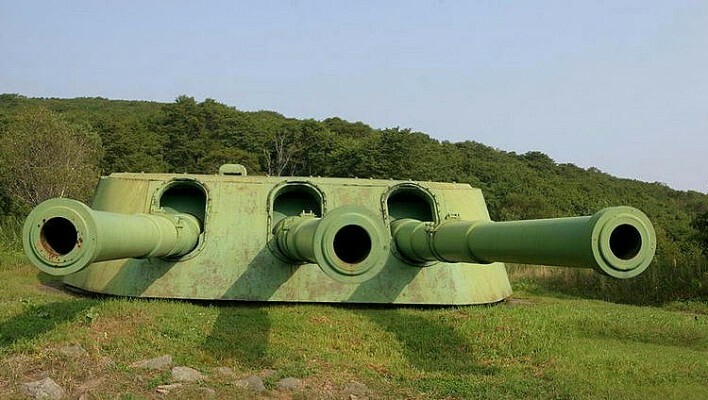 In those times, the marine approaches to Vladivostok were defended predominantly by 180-mm coastal artillery batteries that, despite their good quality and functionality, couldn't guarantee keeping hostile battleships from invading Vladivostok in case of sudden attack of large naval forces. And therefore, in 1931, it was decided to strengthen city's coastal defence through building a 305-mm turret artillery battery in its vicinity. 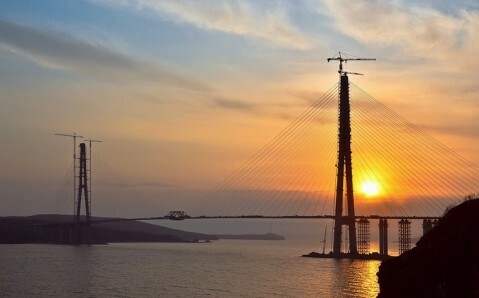 It was positioned on the height in the southeast of Russky Island, near the largest bay Novik. It was planned to make the battery invisible from the sea using land's natural landscape for disguise. The construction lasted over two years, during which most rock excavations, concrete and underground works were done. Two turret launch facilities, taken from the battleship "Poltava", were used for battery's arming. Barges brought gun tubes and turrets' parts to Russky Island, and then they were delivered to the installation site by specially built rail. In 1934, the construction of the coastal battery was finished and it was given the name of Kliment Voroshilov - People's Commissar for defence of the Soviet Union. The 305-mm turret artillery battery was the first and the last battery of such high caliber, created in the soviet period. Fortunate location and powerful fortification facilities made it virtually invulnerable for enemy's fire. Battery's turrets were connected by underground 250-meter long passage. Each of them had three stories of underground ammunition stores, living quarters and maintenance rooms underneath it. Thanks to three-meter thick concrete vault, the Voroshilov Battery could withstand a hit by an aircraft bomb weighing one ton. Its guns were able hit targets at 35 kilometers' distance, and all six weapons could be brought in motion simultaneously at that. The battery fired its first shot in 1939. It should be noted that, being over 63 years on action station, the battery fired only practice shots. The Voroshilov Battery served as reliable defence of Russian Far Eastern borders until 1997, when it was taken out of coastal defense's war strength. A year later, the namesake museum - the branch of the Military and History Pacific Fleet Museum - was created on its premises. Now it is open for both, organized excursions and private visits. 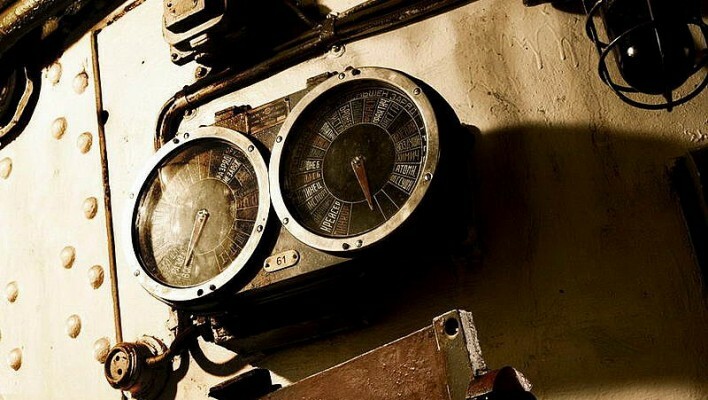 Its exposition "Russky Island - Artillery" is located on battery's premises and keeps valuable historical artifacts: early 20th century's maps, portraits of the first Voroshilov Battery's commanders, photos of the project construction, and samples of shells. Only if you see the battery from inside and explore its passages and dungeons, you will be able to feel what a formidable force it used to be at its time! Getting here. 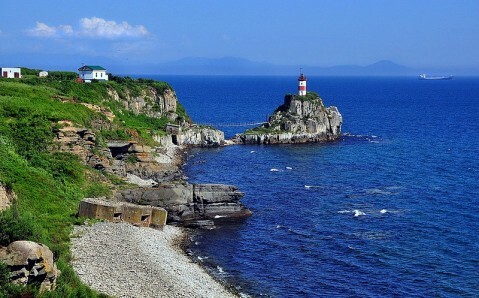 Take a ferry (40 minutes) or a cutter (20 minutes) from Vladivostok. Полностью погружаешься в прошлое. Историю военных лет. Здорово прийти с утра и читать каждую букву. Хорошо, что исторический памятник тщательно охраняется. Есть экскурсии. Ворошиловская батарея — береговая башенная батарея № 981 им. Клима Ворошилова калибром 305 мм. Батарея расположена на острове Русском. Аналогичная по вооружению батарея находится только в Севастополе. Величайший исторический памятник!!! Жаль, что очень много людей...Нет ощущения погружения в то время. Все орут, толпятся, курят! В целом, очень впечатляет. Мощнейшее оружие снятое с линкора. Единственная в России батарея в музейной сохранности. 305мм орудия с линкора Полтава. Батарея снята с дежурства в 1997, сохранность идеальная, вплоть до банников и снарядов на любой вкус. На 16-метровой глубине божественный запах солидола! Классное место! Историческое! Музей работает с 9 до 17. Вход - 100 руб. Дети с 7 лет - 50 руб. Выстрел из 45мм орудия - 1000 руб. Понедельник, вторник - выходной.